Narendra Modi, the BJP’s candidate for prime minister in India’s 2014 elections, may use covert ops in Pakistan. Should Narendra Modi emerge as India’s prime minister at the end of this month, many expect a more muscular Indian foreign policy. With a few exceptions, Modi himself has been remarkably vague on his intentions for Indian foreign policy but, true to his “strong man” image, he has made sure to lambaste both China and Pakistan on the campaign trail. Indian foreign policy has generally been insulated from the vagaries of its prime ministers with one important exception: Pakistan. India’s relationship with Pakistan and its ongoing struggle against Pakistan-based terrorists are a source of major disagreement within the country’s political elite. In particular, while the incumbent Congress Prime Minister Manmohan Singh has been keen to make progress on trade talks and return to the Composite Dialogue Process, Modi has different ideas about how India ought to respond to and handle Pakistan-based provocations. Modi’s comments mark the first time he has come close to suggesting cross-border covert ops against Pakistan. Such operations are in the domain of India’s Research and Analysis Wing (RAW). RAW is India’s intelligence agency, modeled on the CIA and created in the late 1960s after the Sino-Indian and India-Pakistan wars of 1962 and 1965 respectively. Organizationally, the RAW leadership is centralized and reports directly to the Indian National Security Adviser, and by proxy, the prime minister. RAW has been criticized for its lack of political accountability. In terms of security, particularly in the disputed Kashmir region, India’s problem with Pakistan has been asymmetric sub-conventional warfare. India has traditionally responded to these threats through moderated conventional and police responses, and the two countries have often found themselves embroiled in temporary skirmishes which result in casualties on both sides but little else. Before the 1990s, RAW was significantly more audacious and did engage in the sorts of operations Modi contemplates. 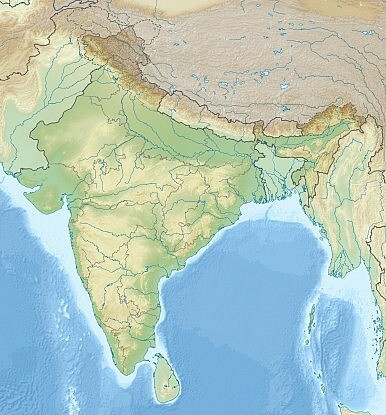 In particular, RAW leveraged its covert surveillance and offensive capabilities in the India-Pakistan War of 1971, in Bangladesh, during the annexation of Sikkim, and in Sri Lanka (among others). Additionally, in Pakistan, RAW already forms the basis of several conspiracy theories with more than a few Pakistanis attributing the nation’s ills to covert India-based agents. Should Modi emerge as prime minister, he will be empowered to use RAW as he sees fit against Pakistan, without the knowledge or the consent of the Indian people. Since the Kargil War of 1999, India and Pakistan have enjoyed a delicate and imperfect equilibrium that has essentially been based around India exercising restraint in response to Pakistan-based provocations. Should India under Modi begin operations in Pakistan against high-value targets, modeled on the United States’ raid on Osama bin Laden, Pakistan may respond unpredictably. When the BJP released its 2014 manifesto, the section on foreign policy was noticeably mild when it came to Pakistan. India’s future Pakistan policy is hugely controversial and maintaining ambiguity would be advantageous for the BJP as it contests the elections. If Indian foreign policy will change as a result of Modi being elected, it is likely to affect the India-Pakistan relationship first. Modi sees little of merit in how the Congress-led UPA government handled Pakistan-borne terrorism. That said, Modi has indicated that he admires former BJP Prime Minister Atal Behari Vajpayee’s foreign policy, which practiced equal parts restraint and assertiveness when it came to Pakistan. Vajpayee traveled twice to Pakistan while Singh, despite rumors that he would travel to Islamabad in his final days in office, never made the trip. Should Modi sanction cross-border covert operations targeting militants in Pakistan, any progress towards broader bilateral ties between the two South Asian rivals would be set back considerably. Understanding the Latest India-Pakistan Meeting on the Kartarpur CorridorThe Modi Factor in Indian Foreign PolicyPakistan’s Prime Minister Warns India Against Military Response to Kashmir BombingIs There Hope for Resurrecting India-Pakistan Relations?What Will India-Pakistan Peace Take?